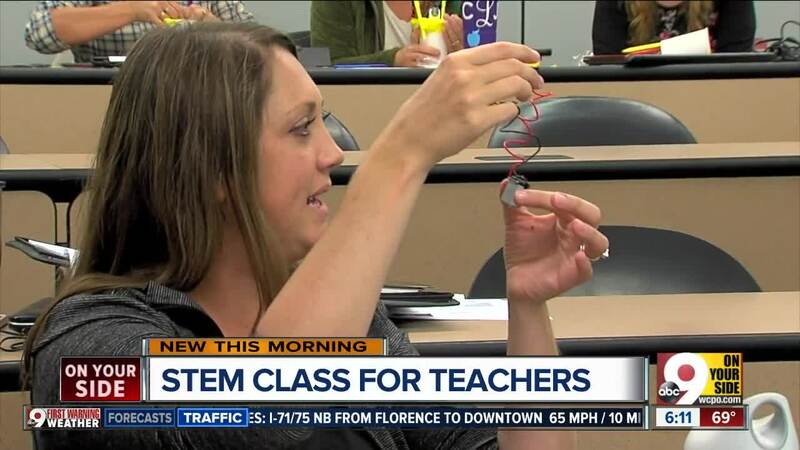 Some Northern Kentucky teachers went back to school this summer to keep up with current technological trends. They're hitting the books to learn the latest in math and science. "Our focus is, we're everything STEM," said Ella Bowling, STEM Outreach Director at the NKU Center for Integrative Natural Science & Math. 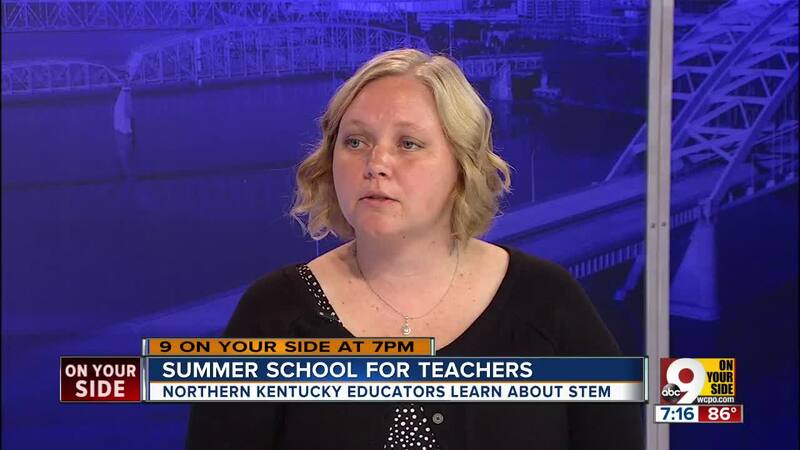 NKU's next generation STEM -- that's science, technology, engineering and math -- classroom gives teachers the professional development they need for the upcoming school year. "We model a lesson with actual kids in the classroom, and then we work with the teachers on breaking down that lesson, looking at the standards that were addressed," Bowling said. In the current learning session, the teachers are the students using engineering and art to learn a lesson they'll later pass on to others. "We really want to work with them on finding ways that they can be comfortable with using science, technology, engineering and math in their classrooms," Boling said. The idea is for teachers and eventually students to come up with results to problems on their own. "Working with the teachers, it got a lot of ideas, you learn about other resources, other websites," Ludlow Elementary sixth grade teacher Danielle Zink said. Donations from Duke Energy and Toyota fund the program. They plan to expand it to teachers in Cincinnati and Western Kentucky.